Louise, how did you come to the study of Sanskrit? Many years ago, my path led to a School of Advaita Vedānta in Brussels. Just a course in philosophy, I thought, but, wow, what a discovery! Born in the Far East, and carrying in my genes the roots of half Eastern and half Western traditions and cultures, I was struggling to work out: “Who or what am I, and where do I belong?” Advaita (non dual), was the first Sanskrit word that I learned, soon followed by an amazingly all-embracing sound of OM. That’s it, I thought. The ‘oneness’ of being, which I must have instinctively sought, was felt. 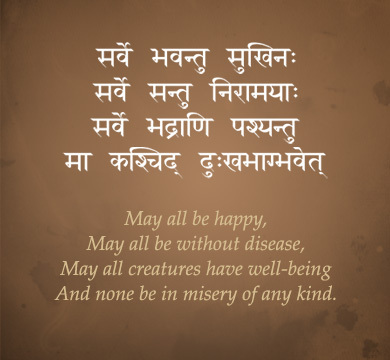 More Sanskrit followed, and I was struck by the beauty of its sound, the elegance of its script, and the profundity of meanings in so many of the words. I had not heard of Sanskrit before, but that was the beginning of a study that, putting it philosophically, drew my mind into a deeper level of awareness of life’s possibilities. Sanskrit, along with the immense wealth of philosophical and spiritual treatises that it conveys, has guided my own explorations into values that are eternal (sat) or temporal (asat). 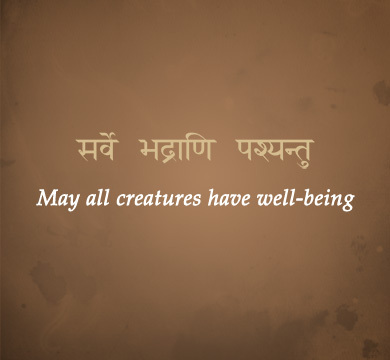 Today, I use Sanskrit (a verse, a hymn, or a statement) in the yoga classes that I teach. It seems to be well appreciated, particularly at the European Council Yoga Circle where many language aficionados attend class, and my motto is Satyaṃ Śivaṃ Sundaraṃ (in the words of Pandit Rajmani Tigunait1: Truth, Goodness and Beauty). So tell me, Claire, what in Sanskrit attracted YOU to its study? I’ve always loved learning languages. In high school in the United States I was privileged to be able to study French, Spanish, Italian, German and Russian. I studied Chinese briefly at university, but my favourite language became Japanese, when I lived in Japan for more than a decade and became a translator of Japanese to English. Japan is also where I began to practice yoga, and first heard the sounds of Sanskrit. Fast forward about 25 years, which finds me living in Brussels, starting a yoga teacher training course and learning the names of the yoga postures in Sanskrit. About then I met you, Louise, and your offering of a Sunday morning Sanskrit session, so I went along, thinking what a great combination of two things I love: yoga and language learning! The challenge of a new language is what hooked me, but little did I know the fascination Sanskrit would prove to hold for me. We didn’t meet very frequently at first, and I often forgot a lot of what I’d already learned in the intervals between sessions, but somehow we persisted. I’ve been extremely lucky to have you as a teacher, because you are so enthusiastic about Sanskrit, and I love to listen to explanations of the sounds and the words and the depth of their meanings. You are also a stickler for correct pronunciation! And we were extremely privileged also to have a few sessions with Isabelle Glover, the renowned Sanskrit scholar and author of “An Introduction to Sanskrit”. Her profound knowledge of the language gave us new insights and greater appreciation for its perfection. Now you tell me, Louise, why do you enjoy teaching it? I think it’s a desire to share the gifts of Sanskrit and, perhaps, along the way, to be helpful to others in their studies. And you, has your study of Sanskrit influenced your yoga teaching, and if so, how? Yes, it’s helped me to give my students a greater insight into the philosophy of yoga, especially when talking about, for example, the Yoga Sutras of Patañjali. And I feel much more confident now when teaching chants. But what about exams, Louise, how did you feel about taking the IGCSE examinations? I felt frightened! I saw in myself a fear of failure. Yes, one of those “ego” things (ahaṃkāra), but it is also true that my inner being does not need all these examinations, certificates etc., but my mind, in its quest to connect with that deeper level of being, needs a system, a discipline, and a direction for a study that is ordered and resonates well with the way it works. The St James Sanskrit course material does that for me. I enjoy it. So, heaven knows when I will submit myself to the next level of examination, but I will get there one day…. ….. but Claire, you’ve studied a lot of languages. How does Sanskrit relate to any of them? Well, if I compare Sanskrit to Japanese, they are worlds apart! Japanese nouns have no gender and no cases, and the verbs do not conjugate. Verb tenses are also relatively straightforward, although some would disagree with me there. Sanskrit grammar is so beautifully precise and structured, whereas Japanese is said to be vague and imprecise – although in both you can say exactly what you want and convey plenty of nuance. 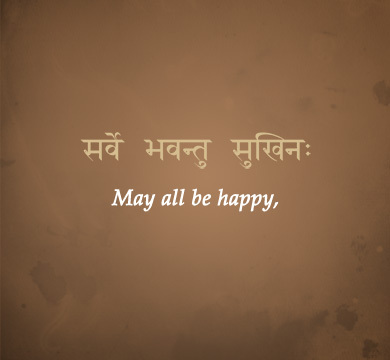 Of course, Sanskrit is an Indo-European language, so we can see its influence in my mother tongue and others. It’s often referred to as the mother language of European languages, and we can see, for example, that just in the word mātŗ, which becomes mère in French, Mutter in German, mother in English, madre in Spanish and Italian, мама in Russian, and motina in Lithuanian! Finally, I’d like to share the methods I used to study for the IGCSE examination, in the hope that other students planning to take it might glean some tips. I found that it’s useful to do even just a little study every day….. I kept my Sanskrit books at work, and I got to the office a bit early in the morning. For 15 minutes my door was shut and my computer still off: time devoted to Sanskrit. Then as the date of the examination drew near, I studied more intensively, spending several weekends on it. I found the Epic Civilization part quite challenging, so I made my own flashcards and carried them around with me to study in spare moments. 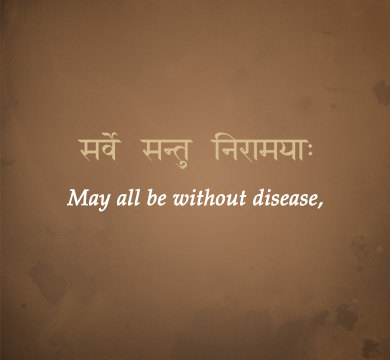 There’s also a website called brainscape.com where you can find a huge collection of online flash cards covering the Sanskrit curriculum which have been especially provided by the St James Sanskrit Department. And of course the International Sanskrit Exam Resource at sanskritexams.org.uk is the best place to start. Enjoy your studies, and wish us luck for our next challenge! (1) Pandit Rajmani Tigunait, PhD, is the spiritual head of the Himalayan Institute, and the successor of Swami Rama. Lecturing and teaching worldwide for more than a quarter of a century, he is the author of fourteen books, including his recently-released The Secret of the Yoga Sutras.